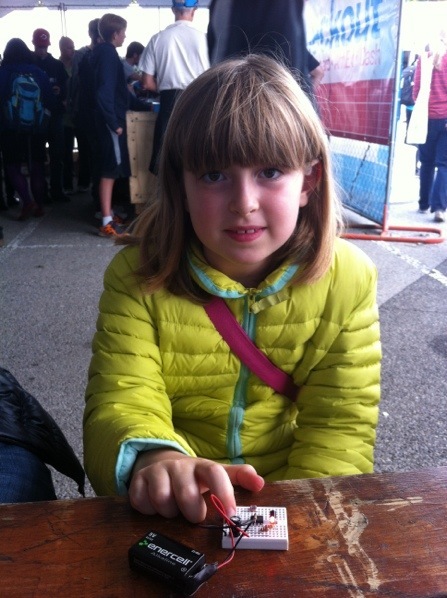 It was great to see Audrey Armstrong, age 9, successfully complete her first solderless breadboard project at our breadboarding workshop. She built a 555 timer-controlled blinking LED circuit with a photo resistor to control the rate of the blinking. I was impressed. Great job, Audrey!